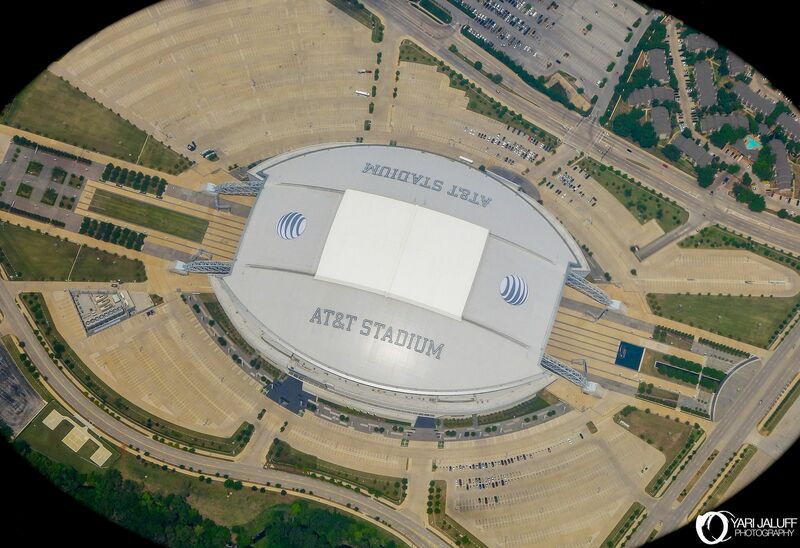 The idea of complete redevelopment of Texas Stadium first surfaced in 1994, but eventually was abandoned. 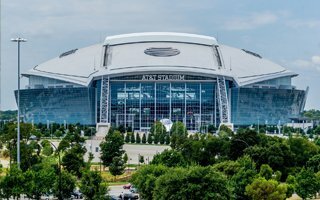 Instead, owner of Dallas Cowboys Jerry Jones reached an agreement with neighbouring city of Arlington to build a stadium there. 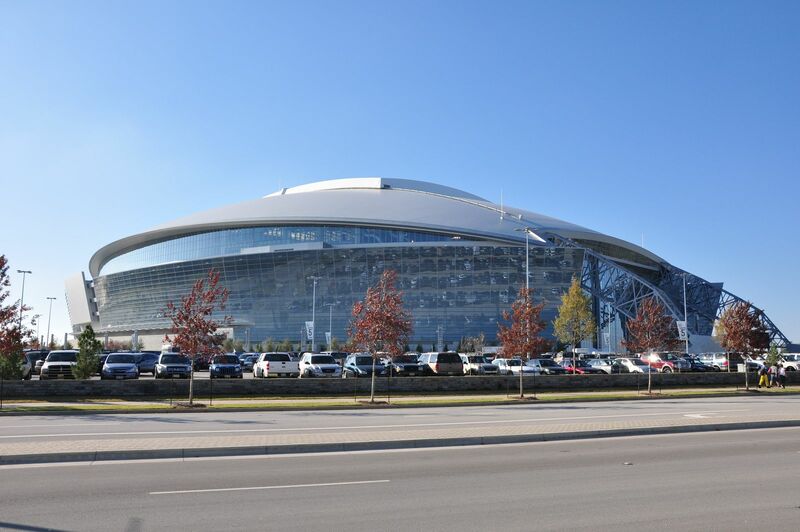 Financed largely by taxpayers, the building was initially planned to cost $650 million with Jones covering any overruns. 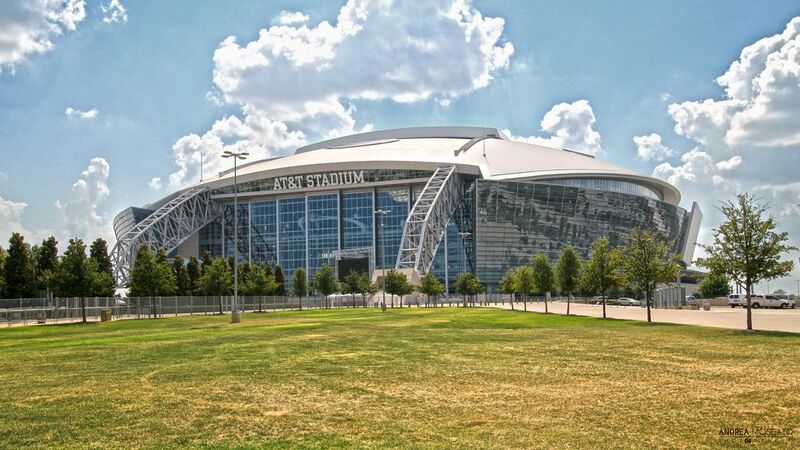 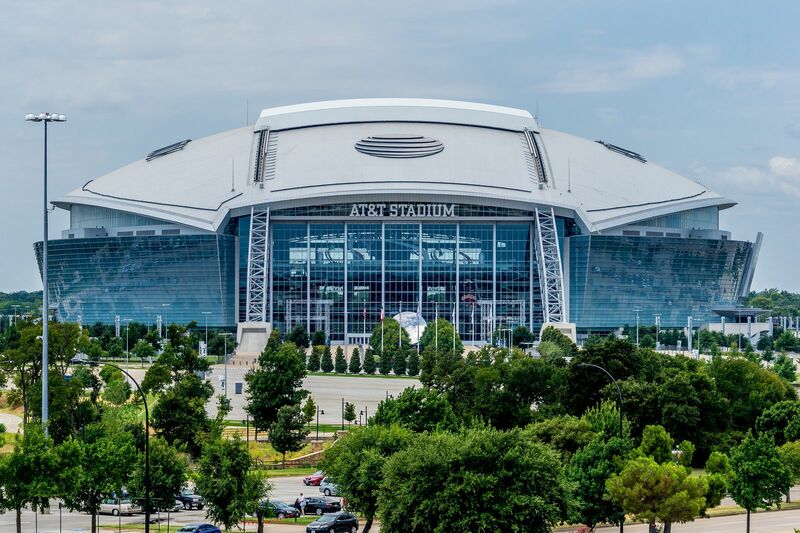 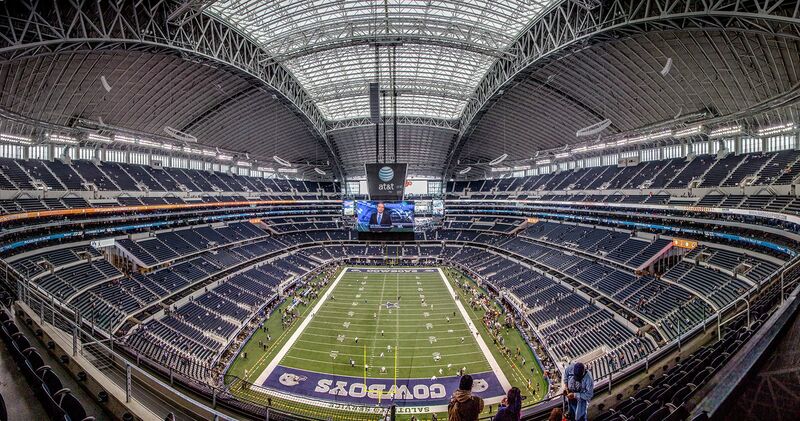 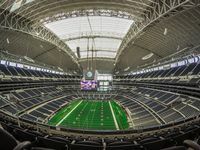 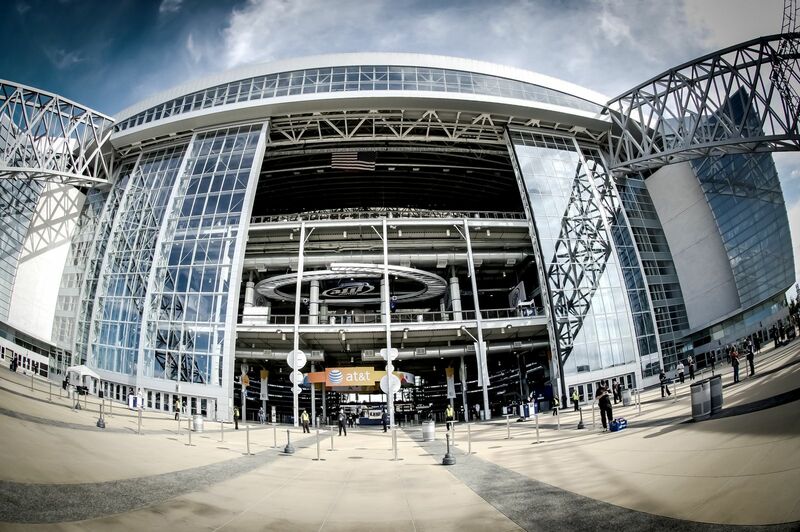 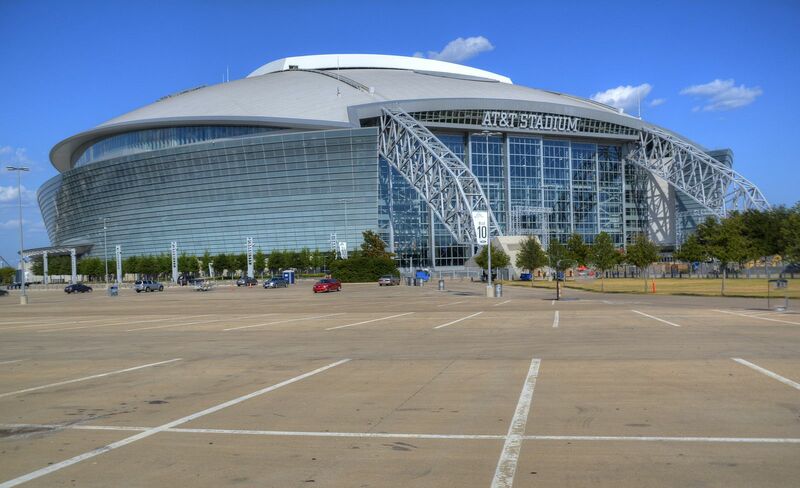 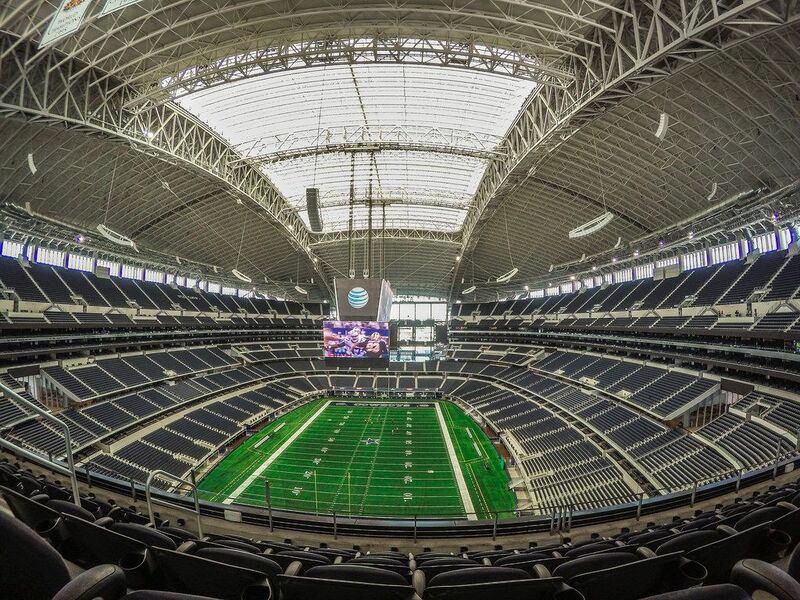 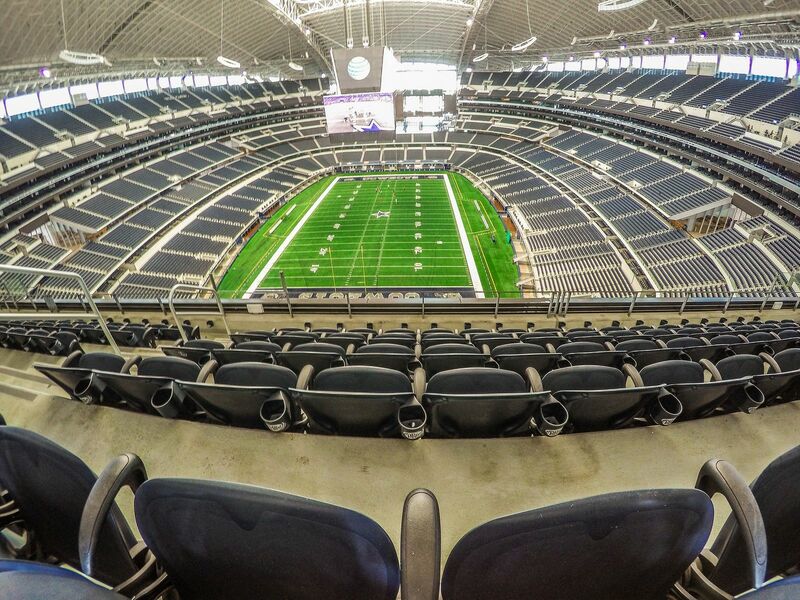 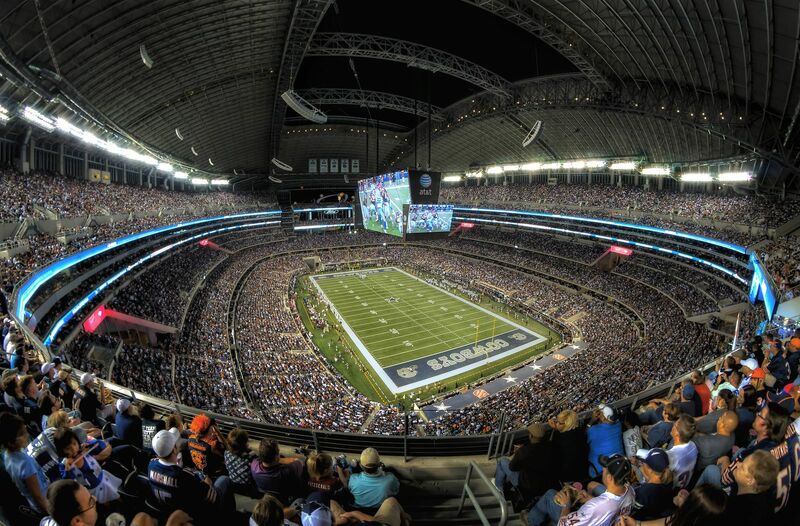 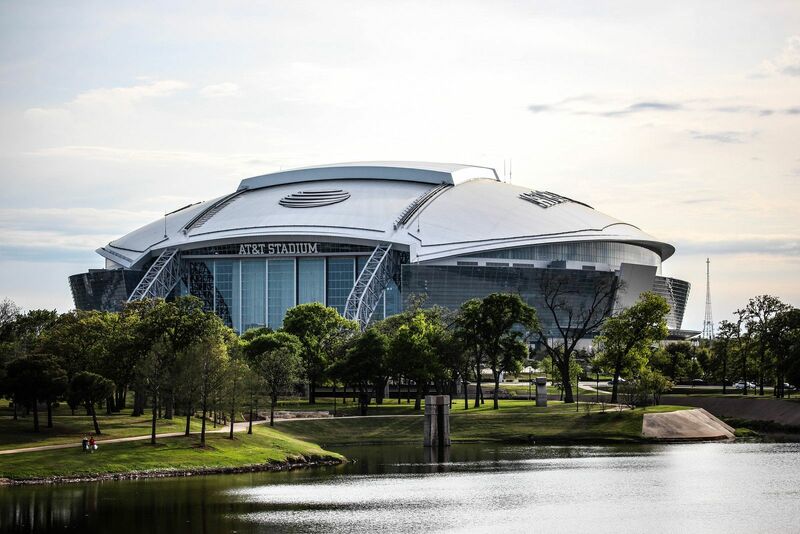 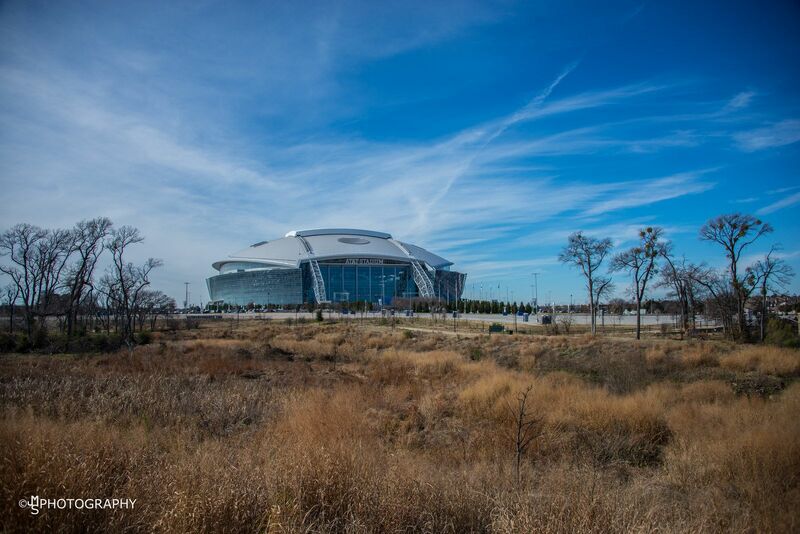 However by 2010 it was apparent the total budget outgrew the early estimate by actual 100%, making Cowboys Stadium one of the most expensive stadiums ever. 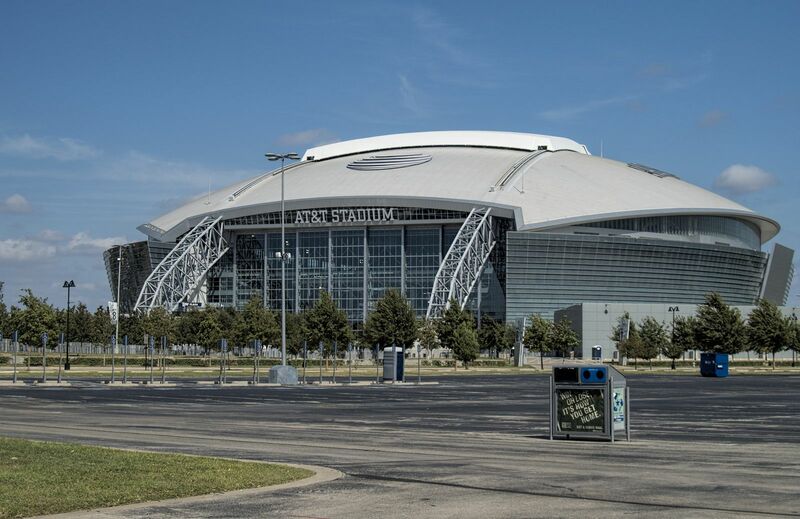 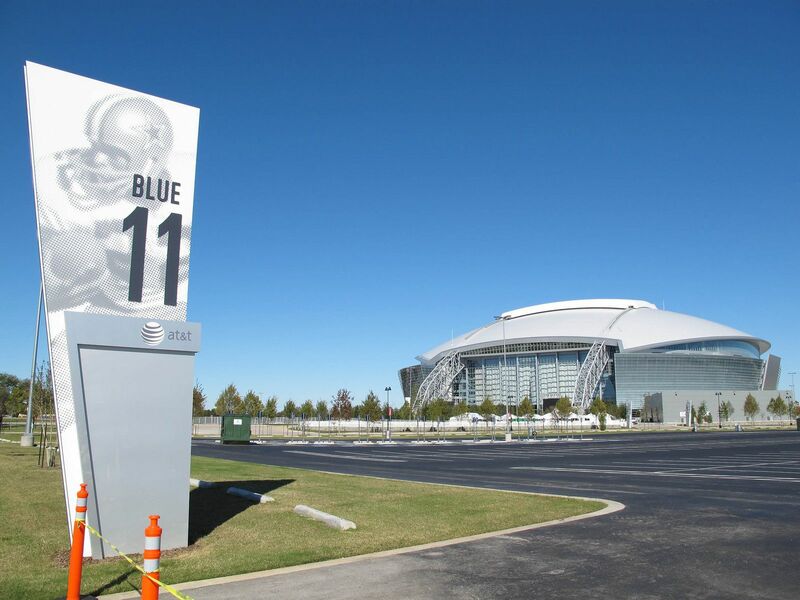 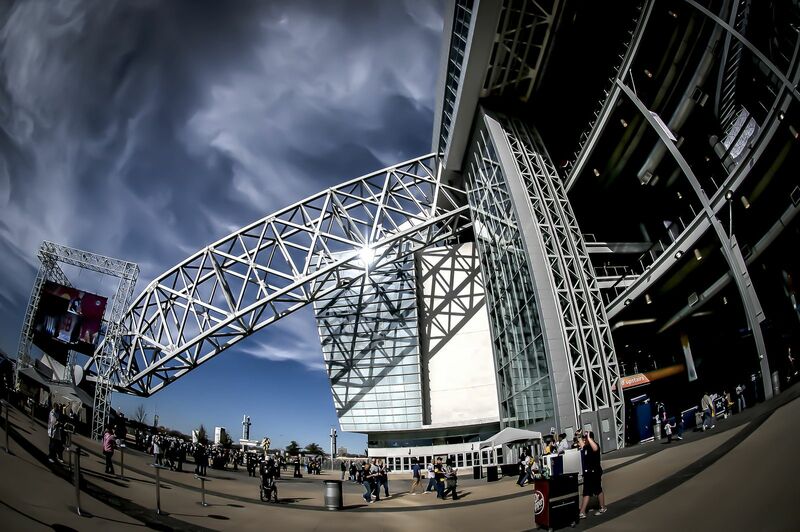 To retain some of Texas Stadium’s identity, its design was used by HKS Architects as inspiration despite being located in a different municipality. 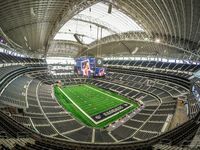 Especially the semi-domed roof based on steel arches brings the old stadium to mind, although adjusted to the much greater scale and retractable segments protecting the field. 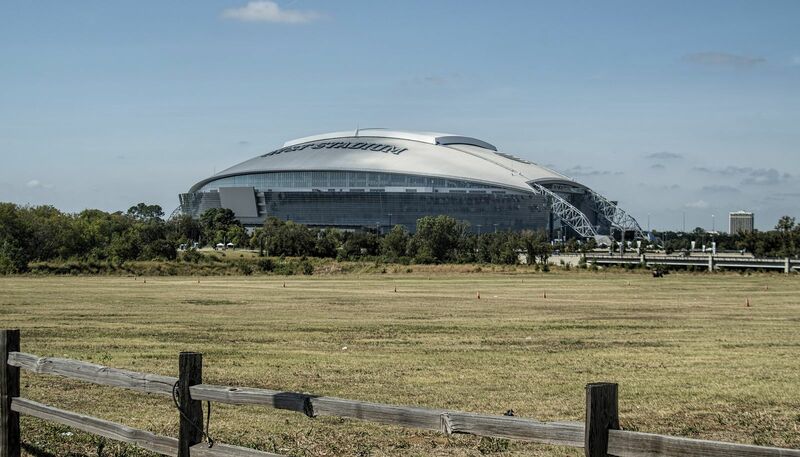 The dome reaches amazing 91 meters, nearly enough to make it a skyscraper-sized building. 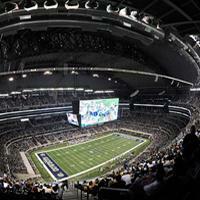 It’s supported primarily by two equally impressive arches that span over 393 meters from west to east. 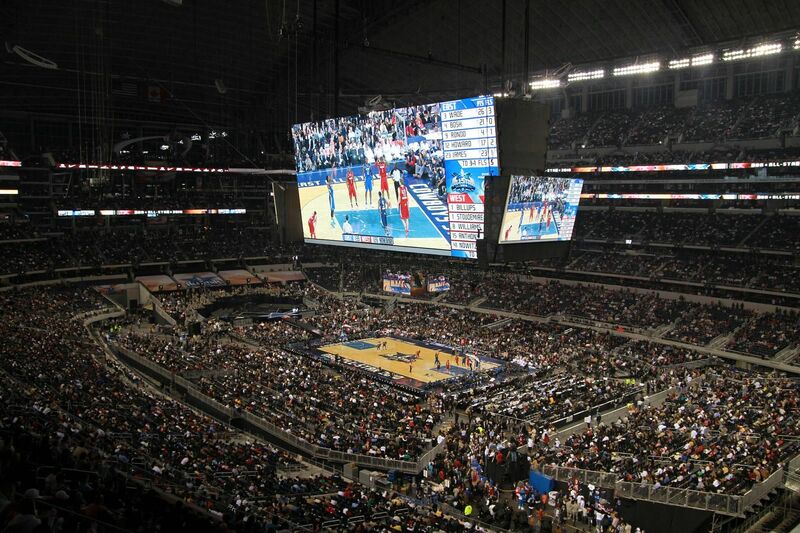 Not enough there? 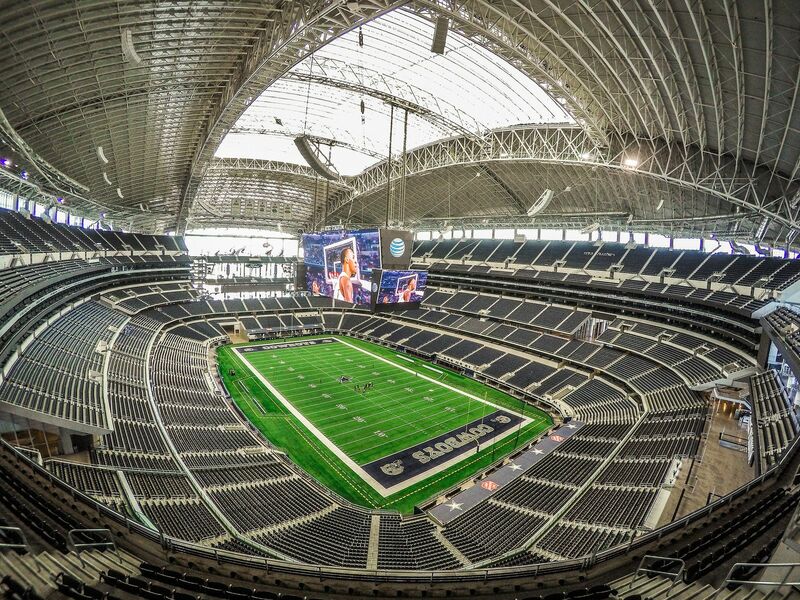 The dome has a stunning giant screen hanging underneath. 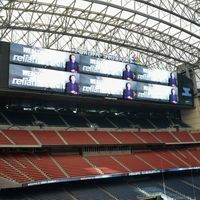 At over 1,000 square meters along the sides, this jumbotron was the world’s largest when opened in 2009 and to date remains the greatest hanging under a roof. 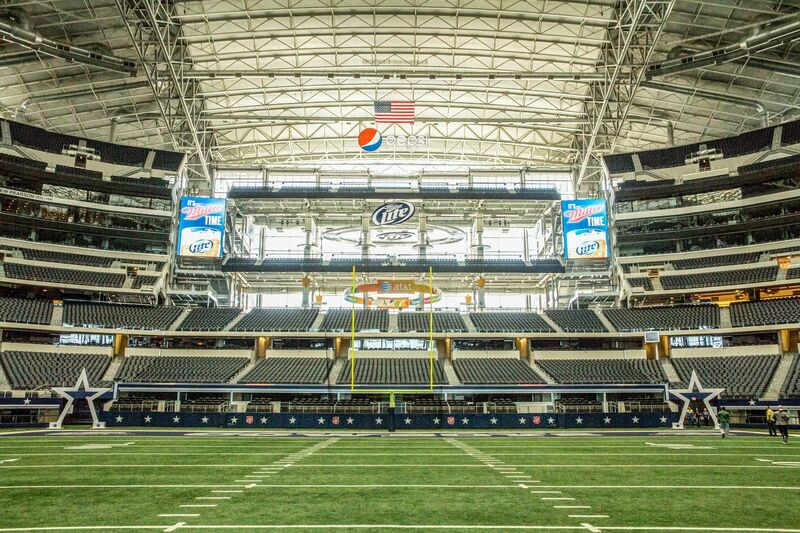 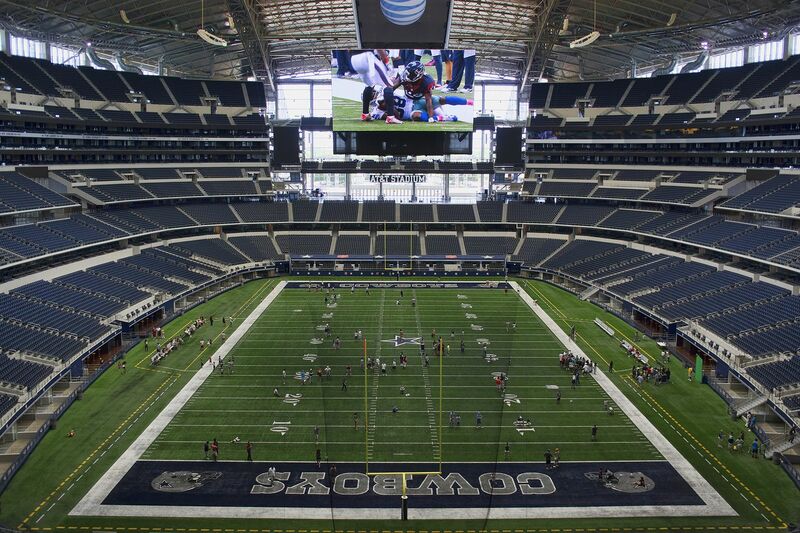 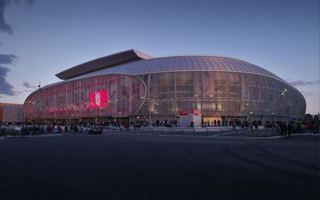 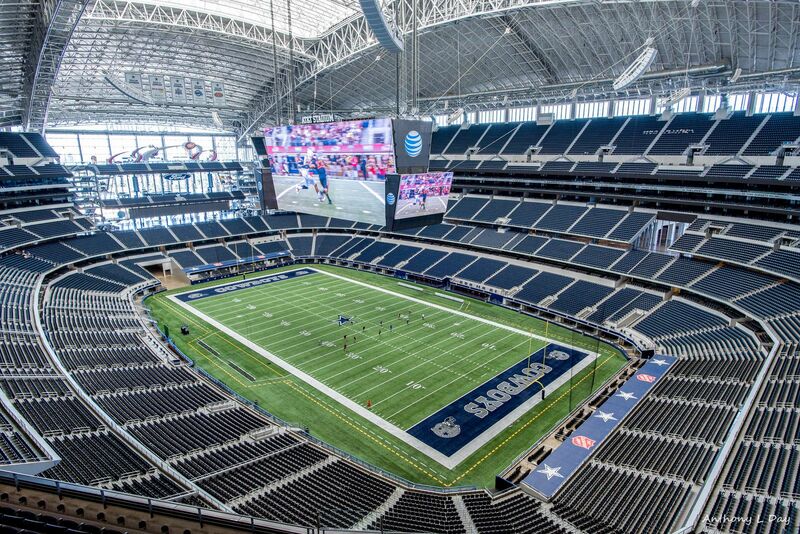 And not done there too, the stadium has sliding glass walls on both ends, creating a more open feeling. 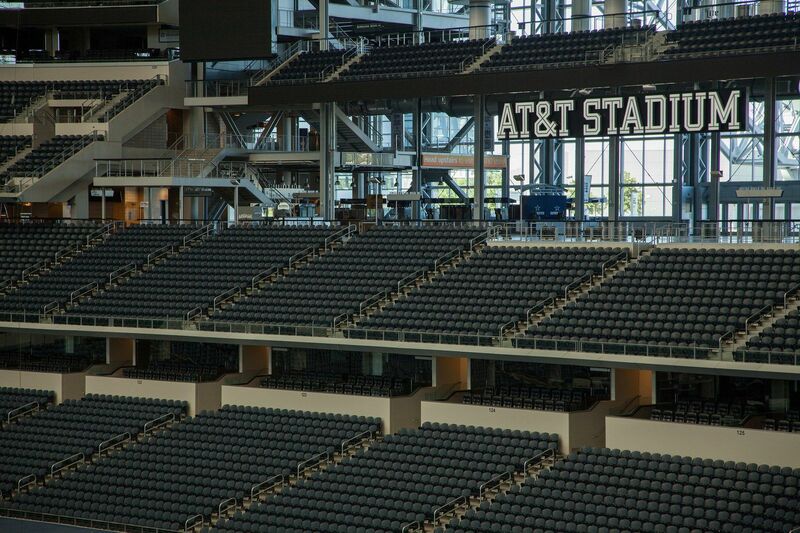 Initial capacity was set at 80,000 with room for 15,000 corporate seats and up to 380 skyboxes (eventually 343). 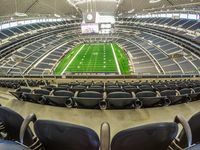 However, both ends were designed in a way allowing either accommodation of additional standing fans and/or erection of temporary bleachers. 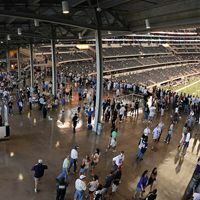 Thanks to these features capacities of over 100,000 are not uncommon at the stadium. 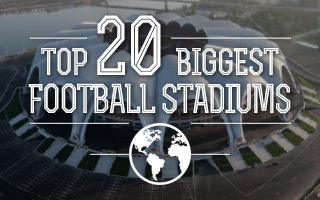 Making it, again, the world’s largest domed stadium. 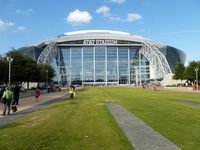 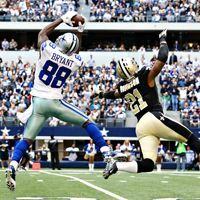 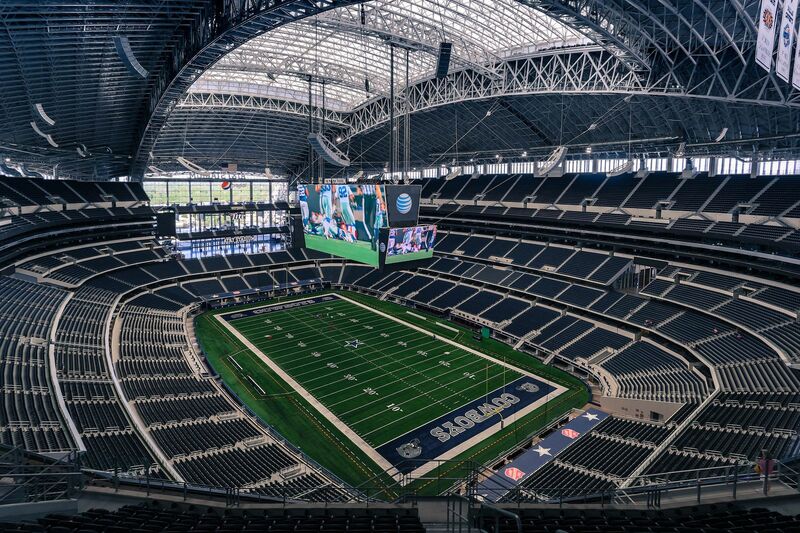 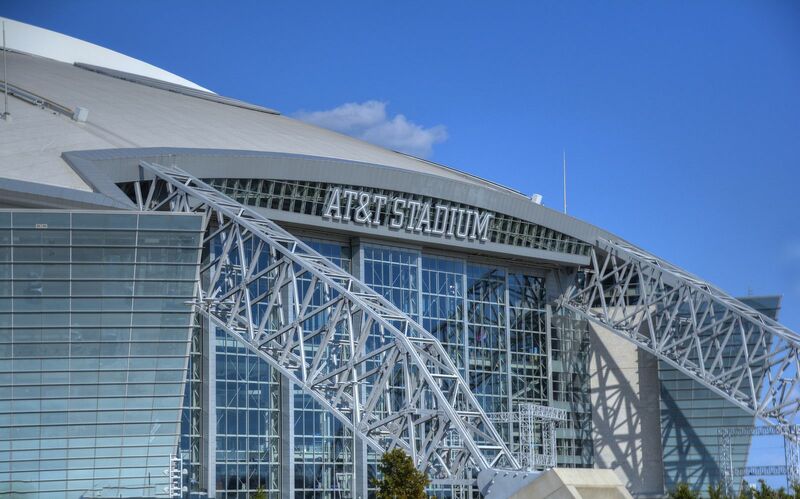 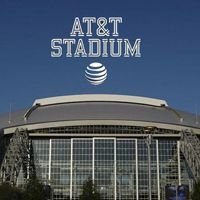 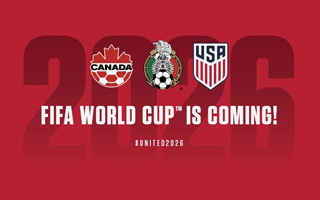 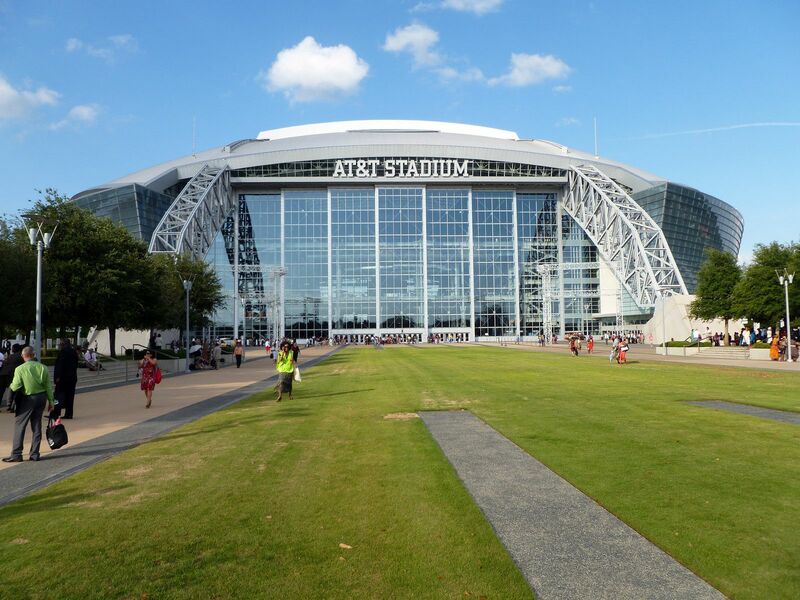 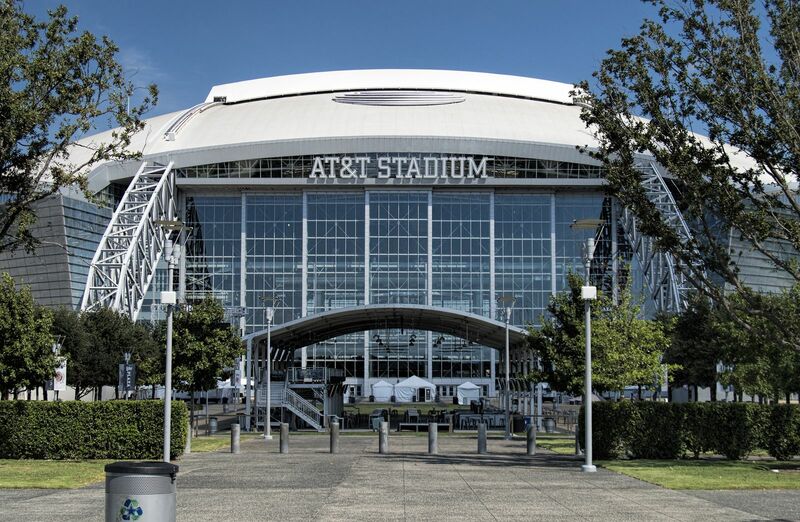 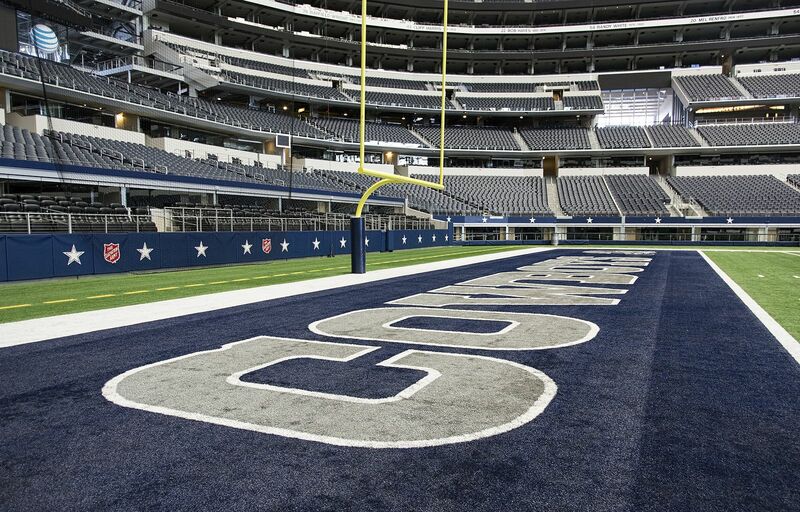 Dallas Cowboys became anchor tenants from the start, but the stadium managed to secure long term deal for Cotton Bowl games in 2010, also holding soccer/football, boxing, basketball and other events regularly.